Older people in Exeter who wouldn’t normally take part in physical activity have been getting active thanks to a new initiative. A number of residents aged between 55 and 90 have been taking part in weekly seated exercise sessions at Shilhay, sheltered accommodation run by Exeter City Council down near the Quay. The initiative is a collaboration between Active Devon and Exeter City Council under the Get Active Exeter scheme, which aims to make Exeter the most physically active place in the South West by 2018. Already the Get Active Exeter scheme is estimated to have brought £89,011 worth of benefits to the health of the city and £31,035 worth of economic benefits. The Shilhay sessions are aimed at increasing social interaction between residents, reducing social isolation, improving use of community space and increasing physical movement. 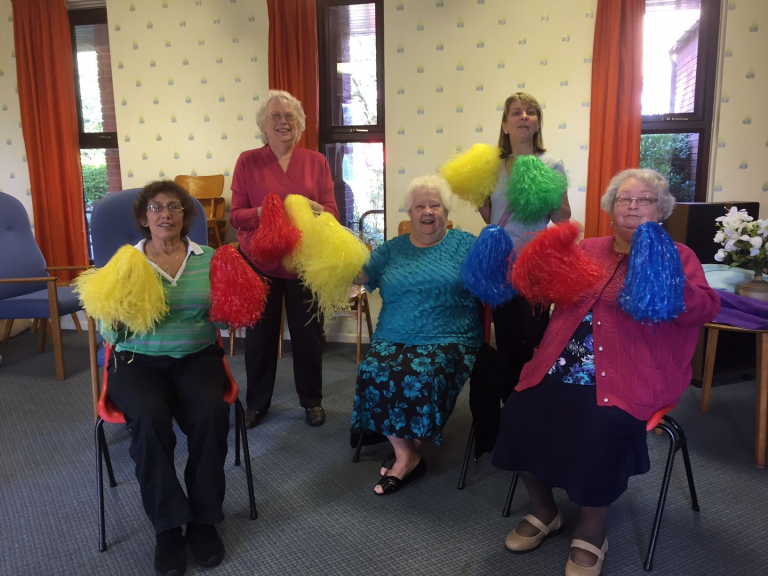 The exercises are varied from week to week and the participants are able to choose the music to exercise to, which generates lots of memories and laughter. Shilhay isn’t the only location to get involved. At Beacon Heath Community Centre, mums and dads have been getting together with their children for family exercise sessions, targeting families including City Council housing tenants. More than 40 people have been involved. The local scheme has been linking family activity to Willowbrook School. Cllr Phil Bialyk, Lead Councillor for Sport and Health and Wellbeing, praised the scheme. He said: “Get Active Exeter is all about getting those who don’t normally get involved in physical activity to have a go.